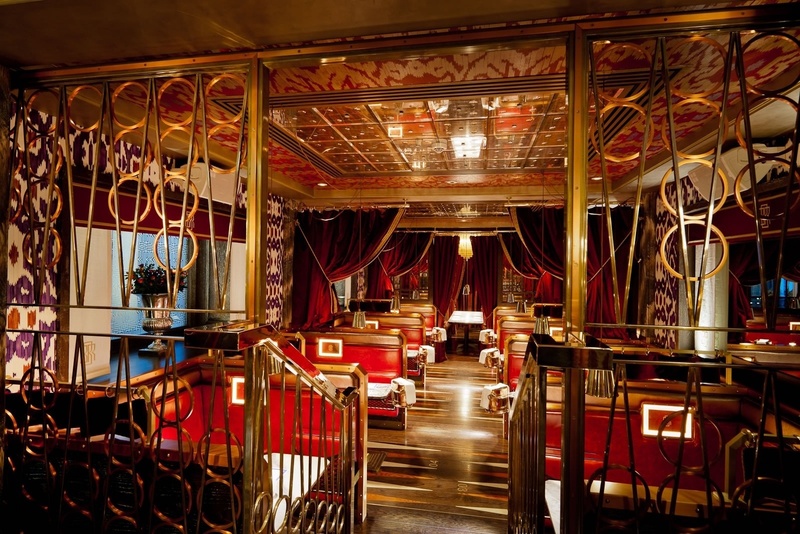 This is a Russian owned English restaurant with an interior inspired by 30′s glamour and old train interiors. Mirrored ceilings, niches with red leather seatings, mosaic flooring and attentive staff in pink jackets and turquoise waistcoats. There is a ‘Press for Champagne’ button on each table… Which I didn’t press (but it was hard to resist!!) The food is traditionally British with a twist. When I couldn’t get a table at the time I asked for, they offered us to wait for the table at the retro basement bar which was just fabulous. The bar looks super chic and sophisticated and I didn’t mind waiting there for a table at all. A note to make is that they have another space on the right when you get in which is apparently a lot less nice! So when you book, make sure you get a table in the main part.